Raewyn Hill, artistic director of Co3, takes Nina Levy behind the scenes of the contemporary dance company’s upcoming season of Frank Enstein, a darkly comic retelling of Mary Shelley’s classic tale, with a message for young and old. Raewyn Hill. Photo: Naomi Lee. 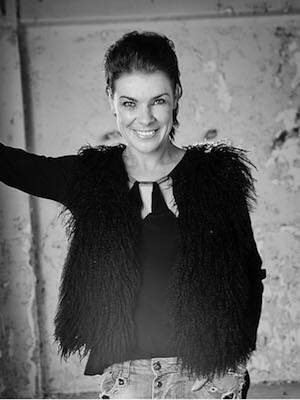 WA’s Co3 and Queensland’s The Farm may be dance companies based on opposite sides of Australia but their respective directors go back a long way. The common link is Townsville-based company Dancenorth (An aside: if you were lucky enough to catch Attractor at this year’s Perth Festival then you saw Dancenorth in action). 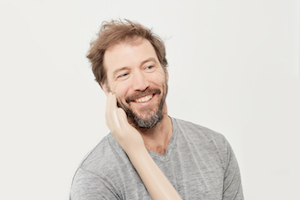 Gavin Webber, now co-director of The Farm, was artistic director of Dancenorth from 1997-2005. “And I took over Dancenorth when he left,” explains Co3 director Raewyn Hill. “When I left Dancenorth, Gavin had just arrived back from Berlin, and was setting up The Farm on the Gold Coast [with co-director Grayson Millwood].” It was 2014, the same year that Co3 was established in WA. ‘Gavin and Grayson are constantly push the boundaries in terms of concept and in terms of content delivery’. 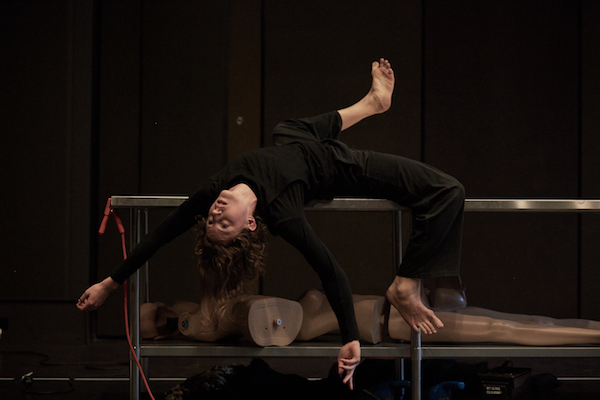 Pictured: Co3 dancer Talitha Maslin rehearsing ‘Frank Enstein’. Photo: Stefan Gosatti. And so, in April 2017, Frank Enstein premiered in WA. Webber and Millwood are no strangers to our state capital – they toured to Perth as Splintergroup with lawn in 2006 and roadkill in 2009, and collaborated with Ochre Contemporary Dance Company to present Good Little Soldier last year – and those who have seen the pair’s work will know it ranges from blackly comic to downright disturbing. Frank Enstein sits at the lighter end of their spectrum. As the name suggests, the work references Mary Shelley’s famed nineteenth century novel, with a lone scientist who creates a monster (or three)… but Frank Enstein is full of quirky touches. A monster pops out of a smoking wheelie bin, a vacuum hose wreaks suction-based havoc… it’s classic Webber and Millwood, lavishly kooky. Grayson Millwood. Photo: Stefan Gosatti. Kell as the young woman who discovers the inventor and his creations. 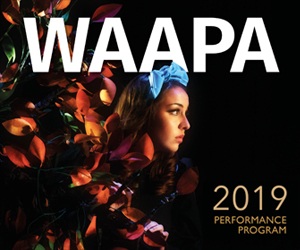 This time those two characters will be played by teenagers, William Rees, a young actor based in Canberra, and Luci Young, a West Australian dancer and Co3’s Act-Belong-Commit CoYouth Ensemble member. 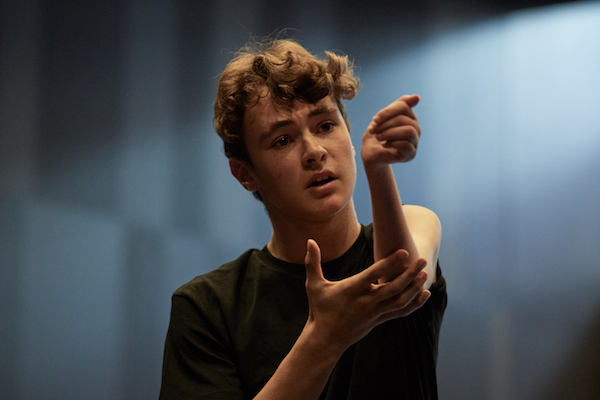 ‘We were drawn to idea of creating the characters using younger performers, to bring a new voice and perspective to the work.’ Pictured: William Rees rehearsing ‘Frank Enstein’. Photo: Stefan Gosatti. 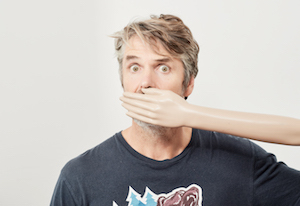 Frank Enstein plays the State Theatre Centre of WA, 11 – 15 April. 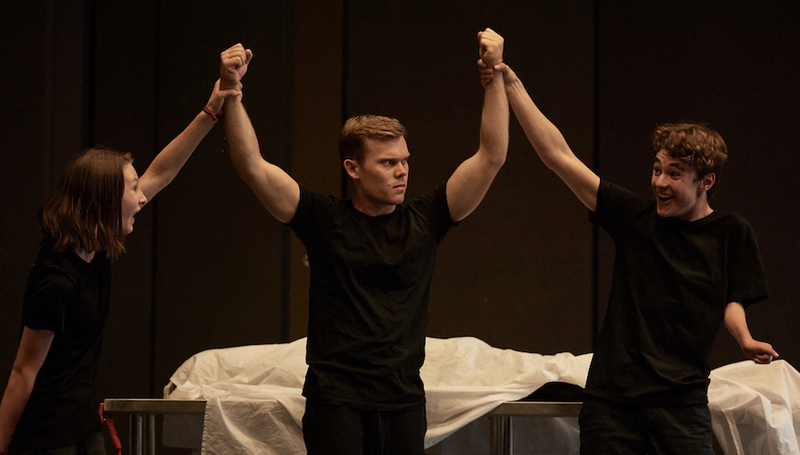 Pictured top are (L-R): Luci Young, Andrew Searle and William Rees, rehearsing the 2018 season of ‘Frank Enstein’. Photo: Stefan Gosatti. Next postGetting their gear off – or are they?